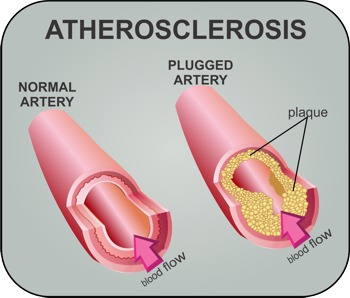 Arthrosclerosis is one of the most typical causes of heart attacks. It can strike at any age, any race, and any gender. But probably the most vulnerable for this disease are those at higher risk, include in this category are people with a sedentary way of life, those that are obese, cigarette smokers, those who have salty and high cholesterol diet and those who lack exercise. Early management can prevent complications of arthrosclerosis, heart attacks and strokes. An alternative to surgery for arthrosclerosis is EDTA chelation therapy. Chelatio Therapy started out as an intravenous procedure carried out in a clinic or hospital. The substance used is EDTA that dissolves or Chelates the calcified plaque. This process is documented to be really successful, however it is very expensive and not available in most countries, also it can have side effects like nausea and vomiting and if this process goes wrong it could result in blood poisoning. Since these earlier days Oral chelation therapy has become available and is accessible to everyone, the process is less invasive, has fewer side effects and is very cost effective. Be careful in picking your brand and be aware that Liquid EDTA has a much higher absorption rate than pills or capsules. Also many people go for the wrong EDTA type being with added calcium, why would you add calcium to EDTA when the calcium is the very thing you are trying to reduce, plaque is made up from excess calcium and other materials. Cardio Renew Chelation Therapy is liquid disodium EDTA with NO added calcium, the same type used in the ongoing clinical trials.